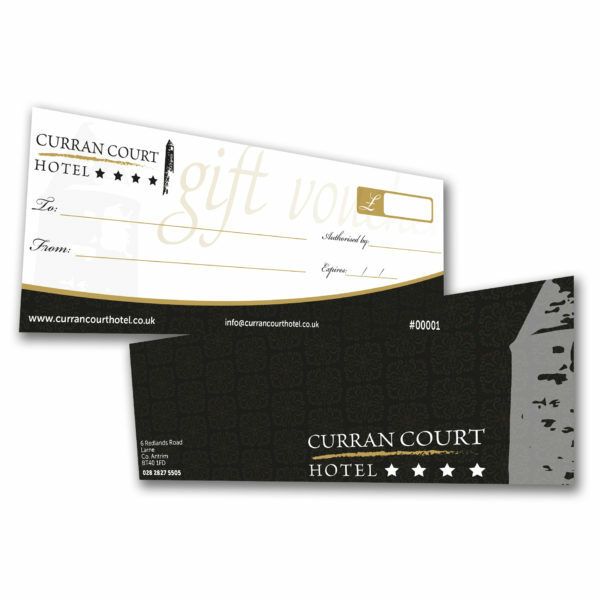 Grab a gift voucher for someone special. The ideal way to enjoy some quality time in a relaxing, cosy environment. Struggling to find a gift for a loved one this Christmas? A Curran Court Hotel Gift Voucher is the perfect way to treat someone special this year. A warm home cooked meal in a relaxing & cosy enviroment will be the perfect getaway in the busy season. Switch off, relax, enjoy a drink or two & let us do the cooking.